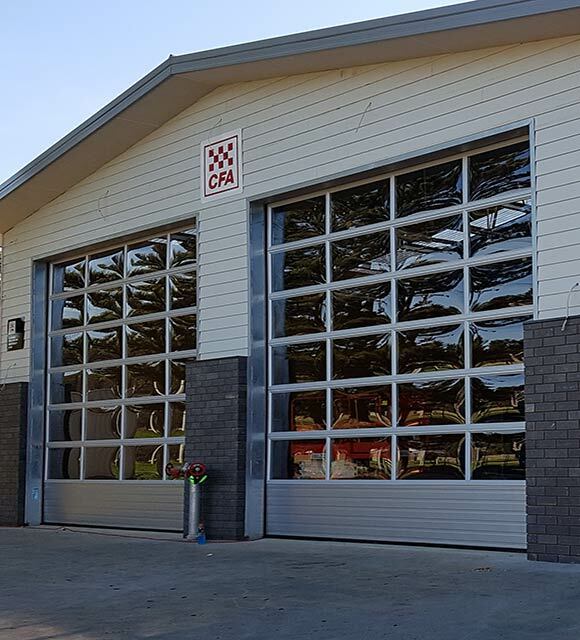 Custom build to suit each application, these insulated doors are tough and resilient to withstand the punishment of Australian environmental conditions. 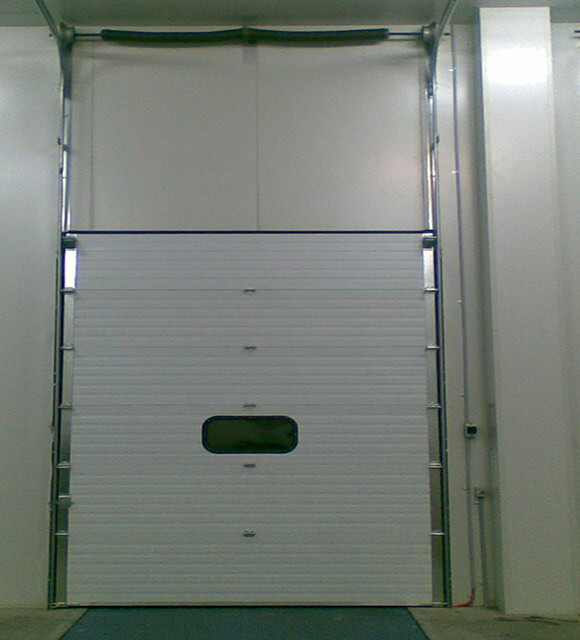 They deliver outstanding results in temperature isolation which makes them the ideal loading dock door. Commonly installed as garage doors where they are subjected to the direct sunlight to combat the intense heat that garages can get to. 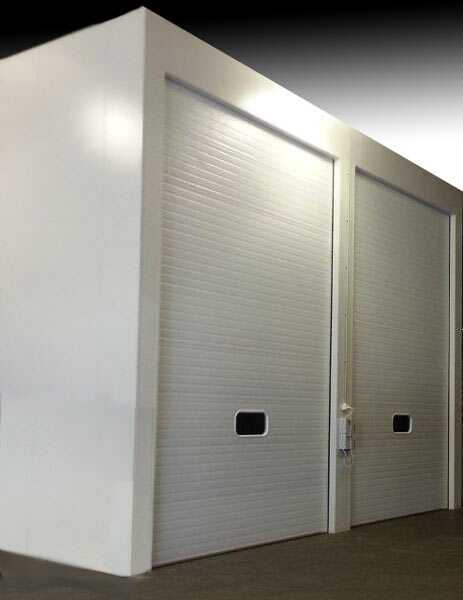 They are also maintenance and repair friendly, minimal maintenance is required and in the event the door is damaged due to a fork lift or vehicle, the insulated panels can be replaced independently. 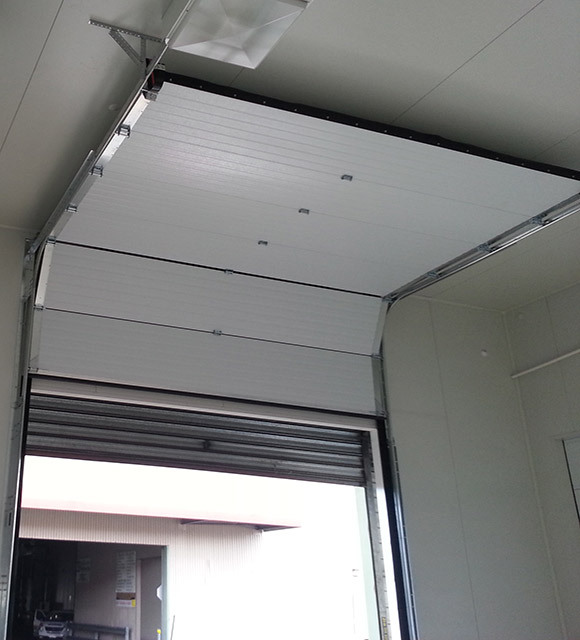 Insulated Sectional Doors provide outstanding insulation benefits, advanced programming and control options. 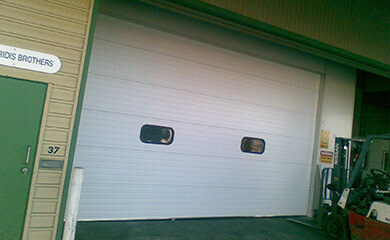 They are suitable for internal and external applications for door openings up to 10 metres wide and 8 metres high. Suitable for a Cold Room door, Freezer Room door, Garage Door, and Factory door applications with temperature and sound insulation properties. 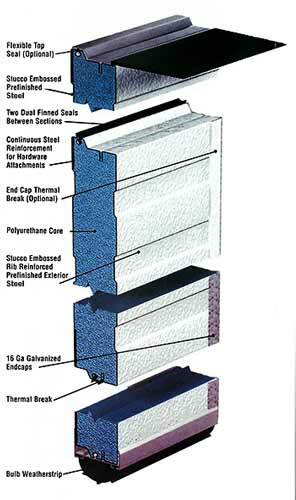 Panels – 42mm for temperature applications above 0° and 80mm thick below 0°. Wind Loads – wind pressures of up to class 3. Sound Isolation – provides up to 22db of sound isolation. Panel Options – constructed with a; polyurethane 100% CFC free core and galvanized steel sheeting, providing a tough, weather-resilient finish. Scratch Resistance – the insulated door panels are constructed with a synthetic glazing with superior scratch resistance properties. Schematic Drawings with full detail can be downloaded on the following link.